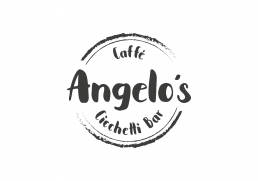 Angelo’s is an Italian Café Bar based in Hinckley, Leicestershire. 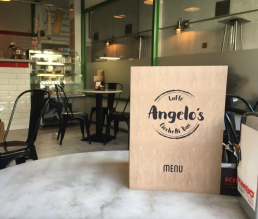 Its concept is formed around the idea that by day its use is primarily a coffee shop/café and by night a cicchietti bar serving Italian drinks and Antipasti. 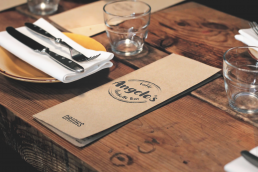 The owner wanted to appeal to most target markets but they essentially wanted a retro but rustic looking identity that harked back to the heritage of small café’s back in his home country of Italy. 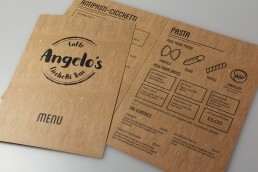 For this we decided to employ the use of fine textures and rustic materials like brown kraft paper which creates a nice feel when used by the customer. 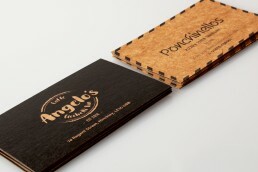 The brand identity itself uses a rough typeface with textured lines to further add a rustic element to the brand. 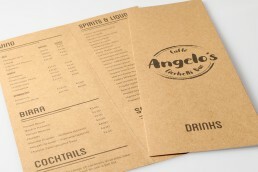 Keeping the colour palette mono means that reproduction of menus and other marketing material is cost effective which was important to the client. It also adds a classic and timeless look to all of the designed elements. 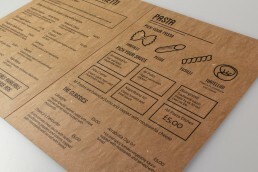 The menu design is very simplistic and uses retro typography that complements the brand identity. 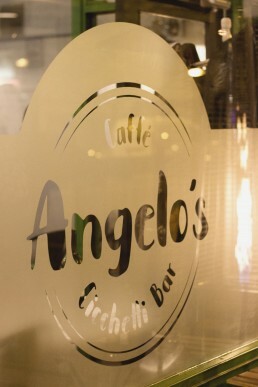 The owner was delighted with the brand we created for him, he felt it had the correct look and feel for the authentic Italian cafe bar he was trying to create.